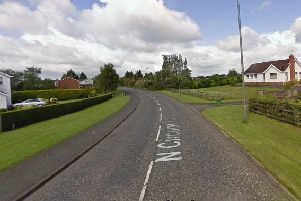 A woman has died after being hit by a car in Co Offaly. The 38 year-old was seriously injured in the accident just after midnight on Saturday night, and was taken to Tullamore General Hospital where she was later pronounced dead. The male driver, 36, of the car was also taken to hospital for treatment. He is not believed to have serious injuries. Gardai investigating the collision on the N420 between Clara and Tullamore, at approximately 12.10am on Sunday, are appealing for witnesses. The collision happened at Muinagh, on the Clara Rd just outside Tullamore. Anyone with information is asked to contact Tullamore Garda Station on 057 9327600, the Garda Confidential Line on 1800 666 111 or any Garda station.